This Chicken and Rice Casserole is a simple meal to prepare. This would be a great use for leftover turkey! Prepare the Rice-a-Roni following the package directions. Stir in chicken, celery, onion, sour cream and cream of chicken soup. 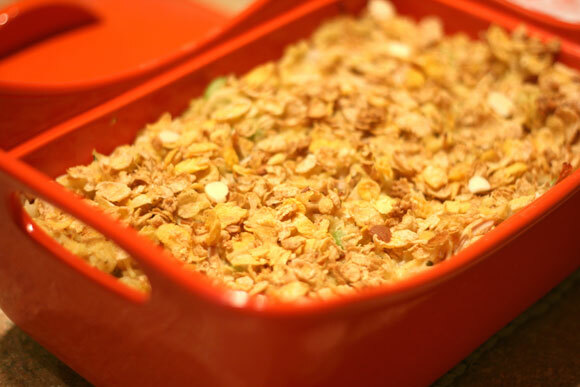 Transfer to a casserole dish and top with almonds and corn flakes. Bake until bubbly, 20-30 minutes.